Long before the age of the internet, and well before the cold efficiency of the assembly line, existed fantastic and terrible machines, run on hope, sweat, and steam. It was a time in which form and function lived in sin, and everyman was a revolutionary. These are 13 American artists united by broad geography and narrow aesthetic. Marrying narrative and nostalgia to design and technology, they imagine the triumphs of the past overriding the failures of the present to create from the ruins and detritus a dazzling future-perfect. What is the relevance of this “golden rule” to our first or second lives? 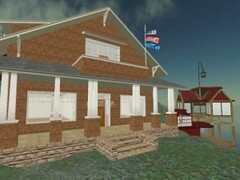 Please join me at Ormsby Hall, Caledon Murdann, on Tuesday 18 March, from 5:00 to 7:00 pm SLT. 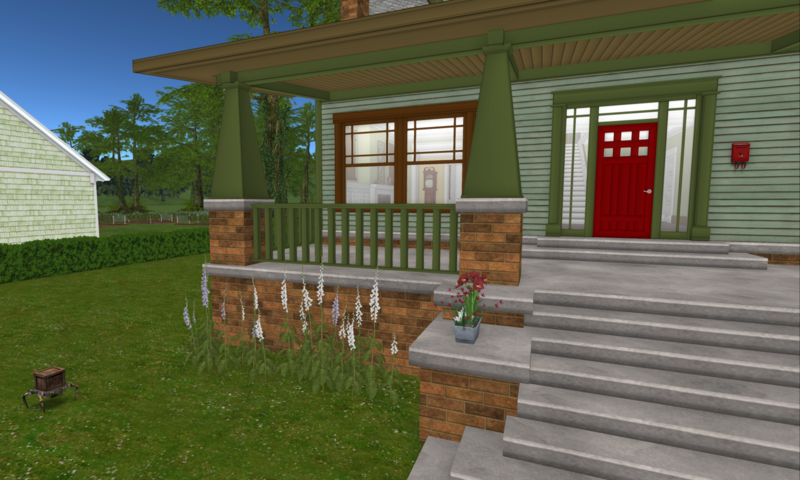 You are most cordially invited to join me at my monthly salon, Tuesday 19 February at 5pm SLT, at Ormsby Hall, Caledon Murdann. The discussion this month will draw upon selections from the writings of William Morris. Free THiNC book available through shop.onrez.com or on the dock in Caledon Murdann. Mr Expedition Offcourse and Miss Persephone Gallindo were kind enough to give a presentation Saturday evening on the Victorian decorative arts. It was held in the Gaiety Theatre in Caledon Penzance, which was designed and built by Miss Gallindo. The event was held in voice, occasioning a bit of technical difficulty at first, quickly overcome. (It is clear to me that practicing with the voice function of the client should be on my list of tasks.) Mr Offcourse had a series of technical misfortunes, but he skillfully covered in such a way that participants were not inconvenienced. Mr Offcourse outlined the broad artistic movements affecting Victorian decorative arts, showing an example from each movement and explicating some of the distinctive elements of each. Miss Gallindo then spoke about the process of building in SL, encouraging her listeners to be constantly looking, both in SL and in FL. Mr Offcourse then gave a short practicum on creating custom textures and sculpties.